In any modern pipeline system, chemical plant, petrochemical process or refinery, hundreds or even thousands of variables such as flow rates, temperatures, pressures, levels, compositions, etc. are routinely measured and automatically recorded for the purpose of process control, online optimization or process economic evaluation. proAsset facilitates the collection and processing of a great volume of data, often sampled with a frequency of minutes or even seconds. The evaluation of data requires at first step the storage of data. Process measurements are inevitably corrupted by errors during the measurement, processing and transmission of the measured signal. 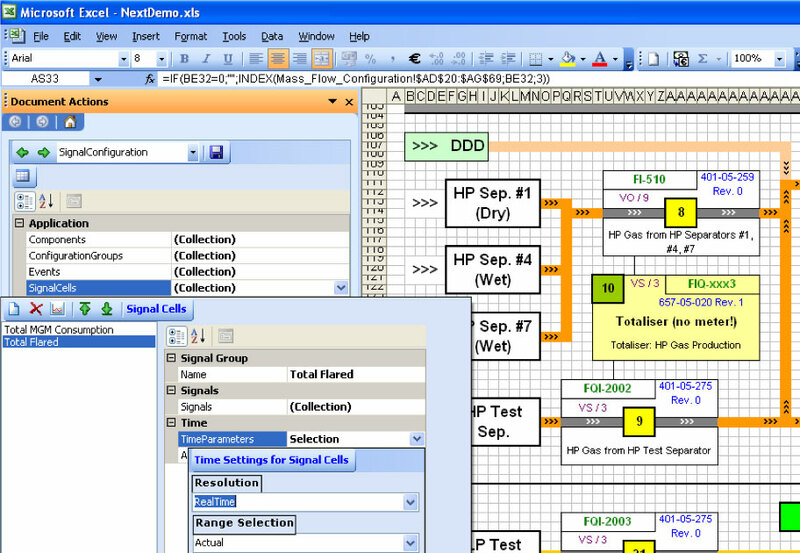 With the packages proIMS Mass Balancing and Data Reconciliation step 2 can be performed. The data can be exploited for further evaluation to improve the accuracy and consistency of process data through a systematic data checking and treatment. proIMS Mass Balancing can be used as integrated part of the calculation server running in the background and calculating the balance of a process in real time. Additionally, with proIMS Excel the user can define his own balances and calculate them on demand.